I almost forgot to mention that I bought two purple lipsticks. I was given a few options on twitter and here. I ended up buying Va Va Violet 663 by Revlon and Amethyst 825 by Sleek. I had them for a few weeks and love them. I do intend to get hold of one of the colours suggested by Miss Virtue after all it is nice to have MAC in your collections. Have you found any nice purple shades? Please let me know. UPDATE 11/Dec/09 : I have tried several times to do swatches and they seem to disappear with the flash. I have been given tips by the lovely people on twitter so hopefully I will master it one day. Sorry not sooner. This would be a tragedy if I was a beauty blogger. I have the exact same combos love! Most affordable on the market. 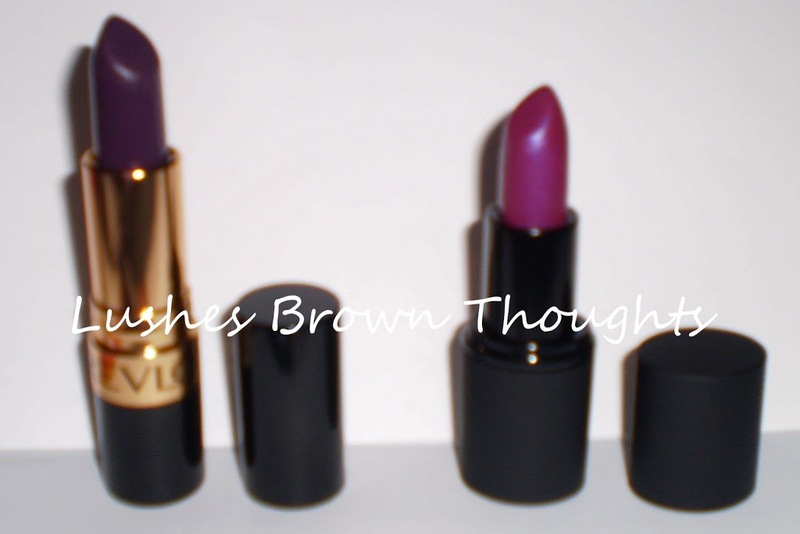 My next buy will have to be MAC Violetta! Show us FOTD sometime? Pretty please?!?! FOTD’s moi. Ooh I do not know if my face are ready for that. As a compromise I might do some pics of whatever I do to my eyes and maybe lips maybe. I just never thought to do them before. Deborah your video on YouTube reminded me I did not do a post on these finds as previously I was asking everyone for where I could get them. Wow, I wonder of that Revlon lip color is like MAC Violetta that I want s badly in my collecion or if it’s anything near the color Letoya is wearing in her video. Swatches pretty please cause my drugstore as BOGO on Revlon this week, would get it asap.